Over a thousand active satellites are in orbit around the Earth with applications including navigation, the transmission of data and satellite remote sensing; a space-based technology providing data accessible to everyone. 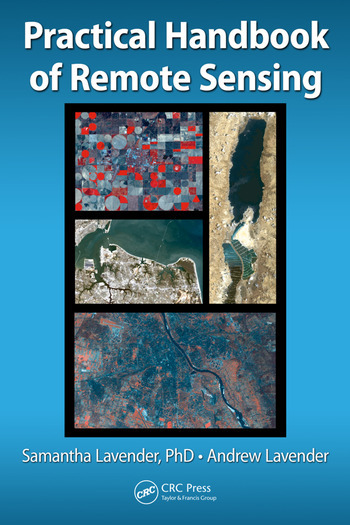 The Practical Handbook of Remote Sensing offers a complete understanding of the basic scientific principles needed to perform practical remote sensing at home or at work, using a personal computer. 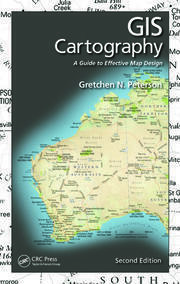 This book contains the information needed to effectively find, download, analyze, and view environmental data. Written by an expert with more than 15 years of experience along with the perspective of a non-expert navigating his way through remote sensing for the first time, it serves as a guidebook for anyone wanting to use remote sensing technology without becoming an expert on the subject. 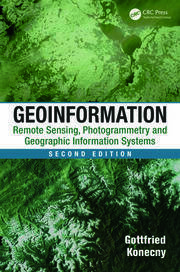 The book explains the science behind remote sensing; describing what it is, how it works, and how it can be used in real life applications. Using just a standard personal computer, the authors help readers discover a wide variety of satellite imagery and how these images can be used to monitor environmental changes in real-world application areas: urban environments, natural landscape, terrestrial water cycle, and coastal environments. The book primarily concentrates on practically using optical data from the Landsat missions with further examples based on MODIS, TerraSAR-X and pre-processed datasets such as those provided by the Copernicus Services. It also provides a review of near-future developments in satellites, sensors, and the processing of data, along with a review of near-future applications and longer-term developments. How Do Sensors Take Measurements? What Is an Image and How Are They Acquired? Why Are Remotely Sensed Images Often Large in Size? Dr. Samantha Lavender has more than 15 years of remote sensing research experience, with a focus on the use of Earth observation. After a PhD focused on the remote sensing of the Humber plume using airborne data, she was a researcher at Plymouth Marine Laboratory and then a lecturer at the University of Plymouth. In 2012, with Andrew, she formed Pixalytics Ltd and is the Managing Director of this commercial remote sensing company. She has an ongoing active interest in research alongside widening the community using remotely sensed data. She’s also director of Ocean Nourishment Ltd, an honorary reader of geomatics at Plymouth University and chairman of the British Association of Remote Sensing Companies (BARSC), having previously been chairman of the Remote Sensing and Photogrammetry Society (RSPSoc). Mr. Andrew Lavender is a novice remote sensor, with three months experience. He works alongside his wife at Pixalytics Ltd, focusing on the administrative and social media side of the company. He is a short story and flash fiction writer and teaches creative writing. "... LANDSAT examples are given, which is freely downloadable satellite data. I recommend this book for global circulation in print as well as [the] digital format." 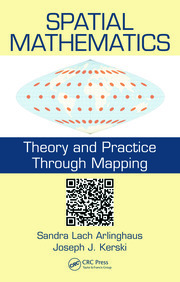 "… provides readers with a unique insight into the exciting world of remote sensing for the non-experts, with chapters developing theoretical knowledge combined with hands-on practical’s. The book also describes some of the ESA Earth Observation activities, ranging from the development and exploitation of missions to the generation and processing of climate data sets." "The approach is designed for new users and the practical examples…will help readers… gain experience without having to struggle with high end software packages. … a wealth of useful information which can be obtained without too much effort but with an understanding of the processes and the potential of remotely sensed data…"